A piping hot bowl of soup makes everything better, right? At least those were my thoughts this past week-end as I felt a little under the weather. My thoughts also wondered to a Sesame Street story. When my kids were pre-preschoolers, I would read them bedtime stories. My son would be satisfied with one story. My daughter, on the other hand, would keep asking for more. So much so, that I would begin bedtime rituals one hour before her actual bedtime. Still to this day, reading plays an important part in her life. One of my daughter’s favorite bedtime stories was from a Sesame Street Growing-Up Collection. It was called “It’s no Fun to be Sick“. I haven’t thought about that book in decades! Idle minds really do wander! 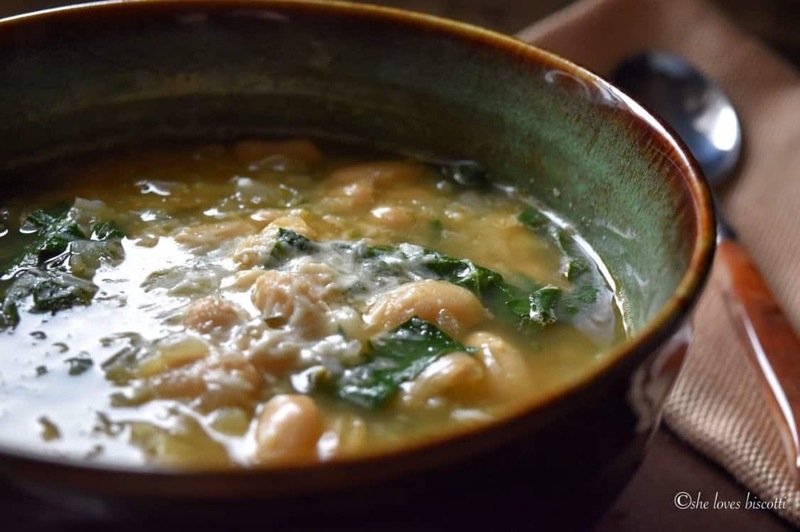 So, if you too are feeling a little under the weather, this White Kidney Beans Recipe is the best kind of comfort food. If you are looking for some healthy soup inspiration, be sure to consult this page on Soup Recipes. 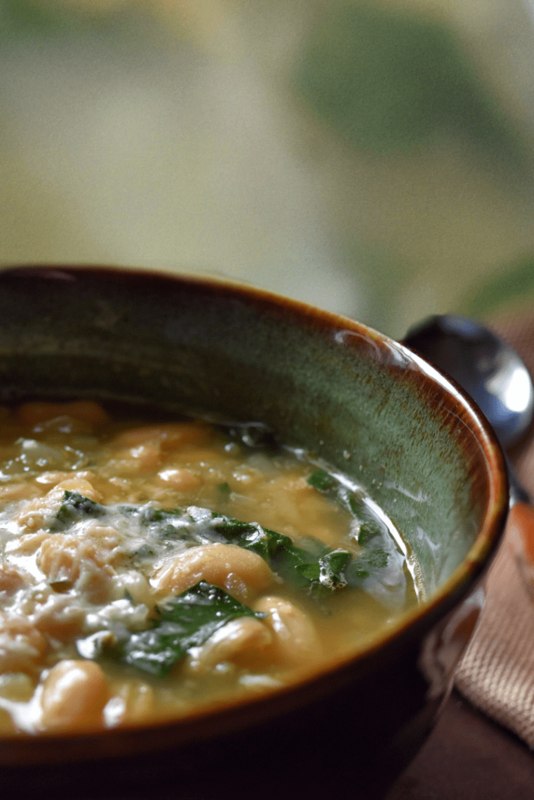 In the meanwhile, you won’t believe how quickly this spinach and bean soup comes together. 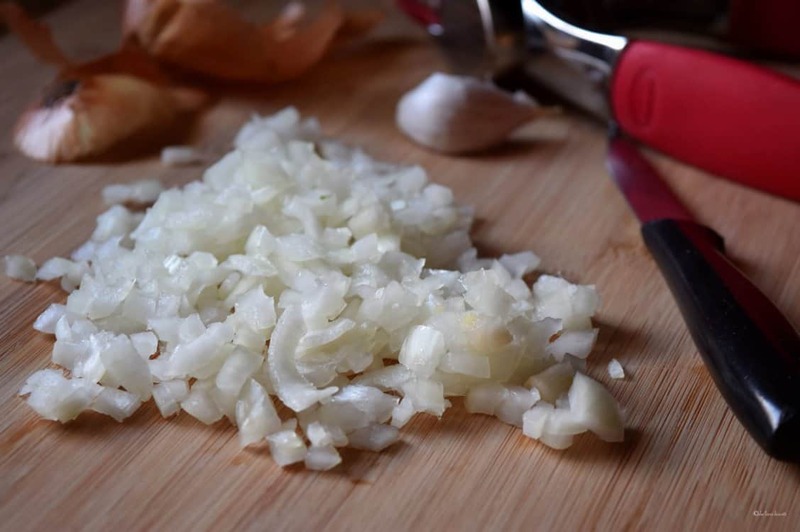 Most soup preparations will begin the same way: a drizzle of olive oil in a large stock pot set over medium heat, followed by the addition of onions and celery. Sauté these vegetables together for about 5 minutes. 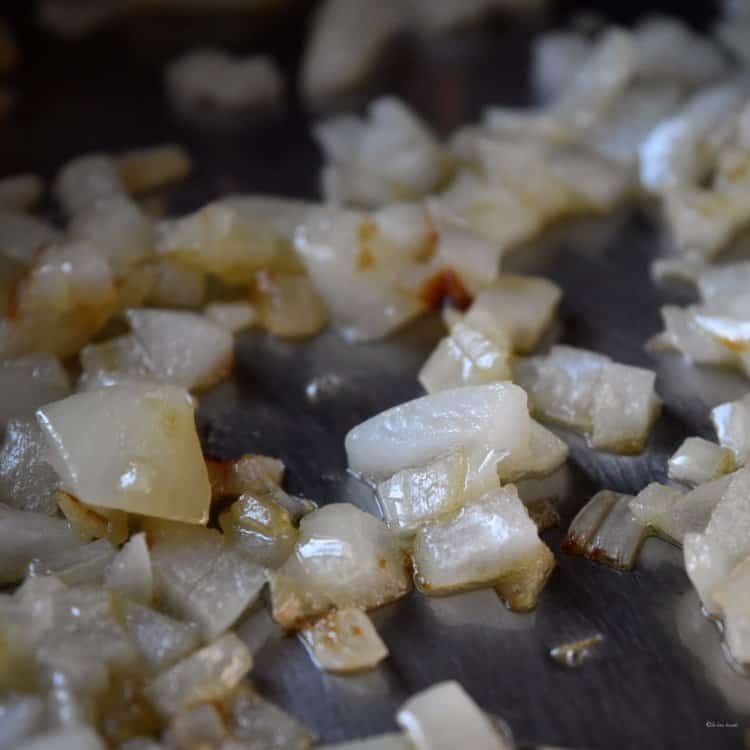 Once the onions have sweated and have become translucent, add the garlic and cook for barely a minute, stirring frequently. Then add your vegetable stock, grated potato, bay leaf, and thyme. Cover and allow to simmer for about 15 minutes. At this point, add the white kidney beans and allow to simmer for another 5 minutes or so. 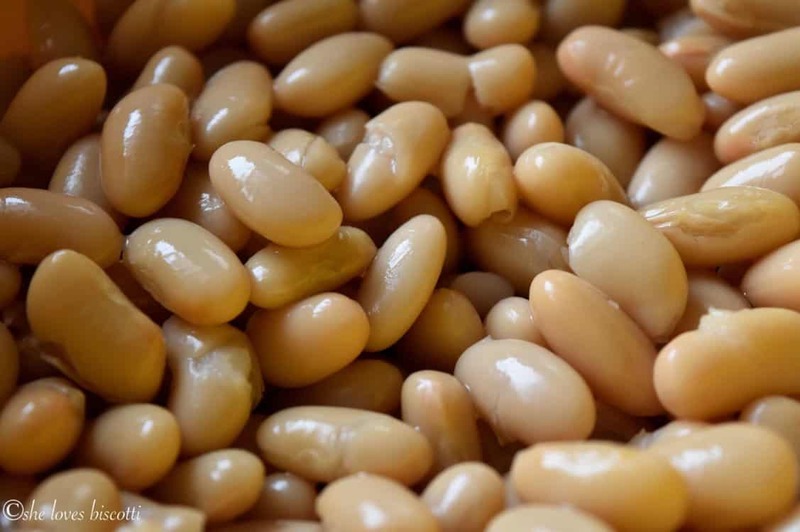 Just in case you are wondering, this wonderful legume also goes by the name of cannellini beans. Yes, these are the well loved Tuscan beans! Nutritionally speaking, they are a great source of fiber, folate, and also a good source of protein. Stir in the chopped spinach. Allow to simmer for a minute or two and you are done. Just before serving the soup, I will stir in the fresh parsley and lemon juice. 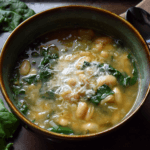 Of course, I like to sprinkle this Easy White Kidney Bean and Spinach Soup with some grated Pecorino Romano or Parmigiano Reggiano cheese. The inspiration for this recipe dates back to 1997. The name of the recipe is Chick Pea and Spinach Soup and it comes from my soft cover cookbook, Canadian Living’s Best Vegetarian Dishes. If ever you come across this cookbook in a second hand bookstore, grab it while you can. Elizabeth Baird is, in my humble opinion, one of the best food personalities out there. Needless to say, her recipe is flawless. However, I did make a couple of changes to suit my personnel tastes and, of course, my Italian background. As much as I love chickpeas, I love cannellini beans more. And so, I replaced the chick peas with these Italian white beans; I grated my potato instead of dicing it; and I played around with the spices. I have also been known to substitute the spinach with kale, escarole or even swiss chard. It is so easy to make this your very own signature soup! Would you believe that you are 30 minutes away from this good for the soul soup? 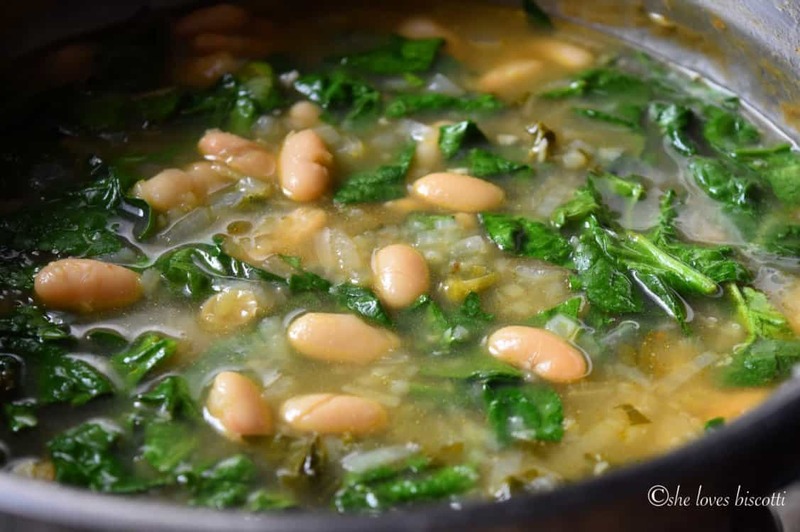 I guarantee this Easy White Kidney Bean and Spinach Soup will not disappoint. ★★★★★ If you have made this kidney bean soup, I would love to hear about it in the comments below and be sure to rate the recipe! A piping hot bowl of soup makes everything better. 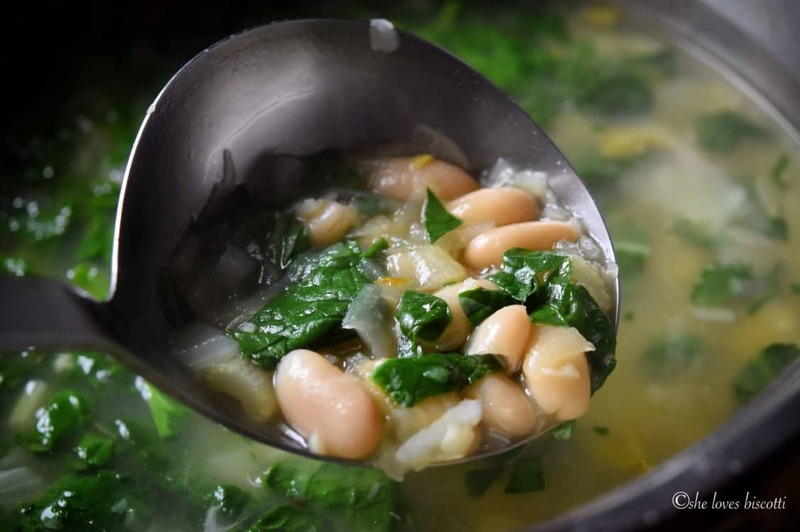 This Easy White Kidney Bean and Spinach Soup recipe is not only good for you, but good-tasting too. Drizzle olive oil in a large stockpot set over medium heat. Add the onions and celery; and saute for about 5 minutes or until onions are translucent. Add the garlic and cook for barely a minute, stirring frequently. Add the vegetable stock, grated potato, bay leaf, and thyme. Bring to a boil, then reduce heat to medium, cover and simmer for 15 minutes. Add the white kidney beans and simmer for another 5 minutes. 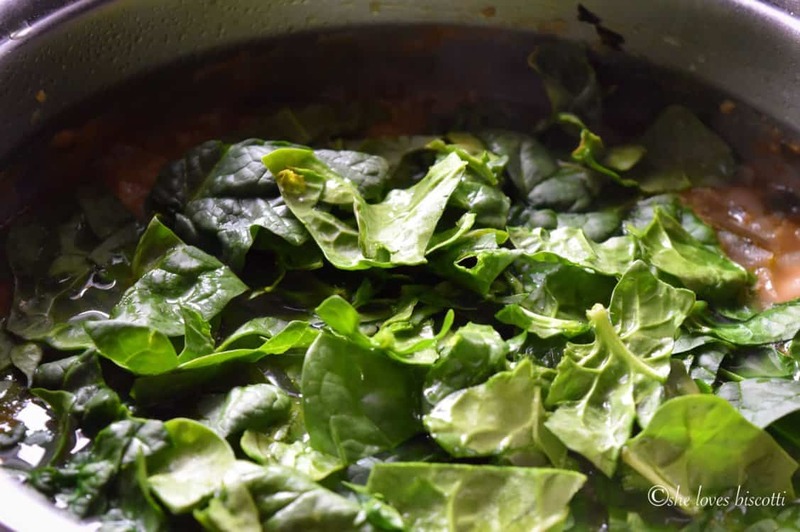 Stir in the spinach and simmer for 1 more minute. Adjust salt and pepper seasonings. If using, garnish with cheese. 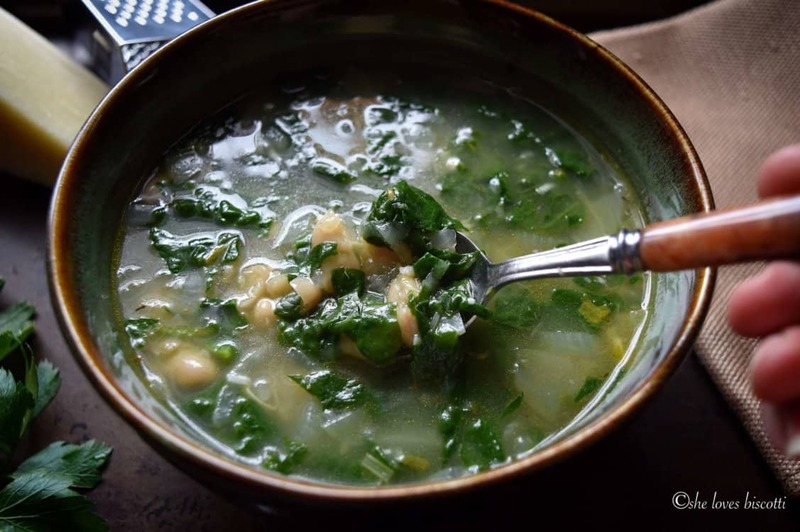 IF YOU ENJOYED THIS WHITE BEAN AND SPINACH SOUP, SAVE IT FOR LATER. I have made this 3 times. My daughter is a chef and she feels that this is a beautiful soup. It gets better each time I cook it. Love at first sight with your Easy White Kidney Bean and Spinach Soup photographs, Maria! I must agree that I adore anything that Elizabeth Baird has written (I have many Canadian Living Magazine cookbooks). I also prefer the cannellini beans to chickpeas – they are so much creamier, aren’t they? This is a lovely soup recipe – thanks so much for sharing. I make a large pot of soup every Sunday during the winter months to keep us going for a few days, and you are so right – soup makes everything better. This soup has everything that I absolutely love in it – including a bit of lemon to brighten things up. I certainly know what I will be preparing next Sunday. Thanks for the idea of grating the potato! If I’m going to blend an entire pot of soup into dairy-free creaminess, I just cube them. That said, this recipe just wouldn’t be so texturally pretty were it all blended together. Making this soon, it’s 14-degrees where we live. Made this last night — fantastic! Somehow the potato got “shredded” rather than “grated” but it was fabulous. Also, since The Honey likes visible protein, I plopped a poached egg on top. Yummy.